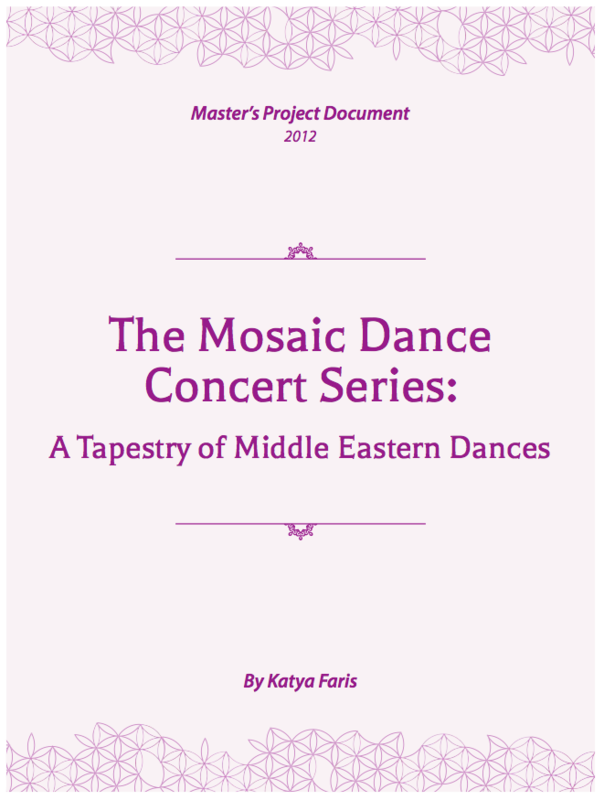 There aren’t many Arab dance ethnographies in ethnomusicology, and this one in particular is important for Arab dancers to understand. I wrote this in 2011. Introduction: Van Nieuwkerk went to Cairo, Egypt in 1988-90 to do research on the professional dance entertainers of Cairo. Her goal was to cover the dance, and not the music, as she felt that it would be too broad to include both in her research. 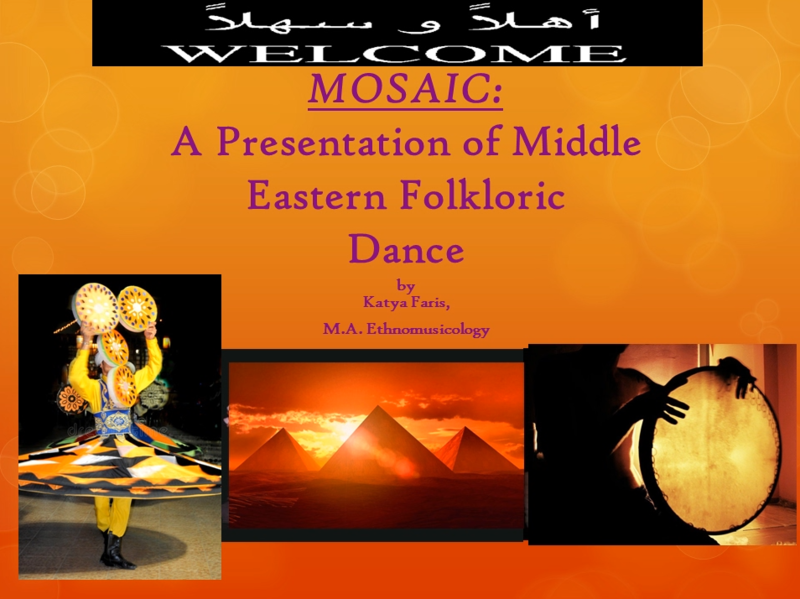 The premise of this ethnography is to study dance, and not music, which is unusual in Ethnomusicology, so I chose to investigate how this could be included in a field predominately situated in studying music amongst people. How does one study dance among people with an Ethnomusicological approach? I plan to discuss how the author has organized her thoughts, methods, and material to reach her conclusions. Then, I will speculate based on prior research whether I think she has achieved her goal, and if she has left anything out. She then explains her contextualization approach; she breaks it down into studying the entertainment trade in an historical and local context. She chose this approach because in the historical chapters at the beginning of the book it became clear that “the status of the trade is not static (but dynamic)…in the course of the last two centuries” (p 179). In the 18th century it was regarded by society as a high art, and but in the 19th century it has fallen to become equal to prostitution; some branches regained respect in the 20th century. Whereas nightclubs were once considered low, and dancing at saint’s day celebrations were considered respectable, it is the opposite today. The modernization of the entertainment field has meant professionalization and certification of folk traditions, leaving out many of the lower class performers who are born into the trade; these types of families are dying out. Focusing on the nightclubs and the saint’s day celebrations one can see how the context of the dance performance takes on different meanings. There is a difference between the dancers in the 2 star nightclubs that have a low esteem in the eyes of the Egyptian public, and the 5 star nightclubs in international hotels that have a high esteem to Egyptians that is similar to working in theatre or on TV. Our author does not delve too deeply into the 5 star hotel circuit of bellydancers, and that is a shame. If she had, she would have seen that the dance there is almost a different dance than what happens in the 2 star nightclubs, and has a different diffusionist origin and evolution in Egypt than the dance at the 2 star nightclubs. This fact points out something about her contextualization, that she is only focusing on what people think of the art, not the art form itself. However, what she is pointing out is that the context of the performance denotes the status of the performer. All entertainers cannot be lumped into one category in Egypt, as the artistic context decides their social status. Van Nieuwkerk defines “experience-near concepts” as “evident from everyday life and discourse” (p116). She includes her chapters on honor and shame in this category. She discovers that in contrast to the shame that the general public opinion often ascribes to performers, it is quite the opposite with the opinion of the performers, in that they ascribe their discourse to focusing on honor. The performers even have their own language, called a “sim”, or secret language. This is only amongst the lower class saints day celebration performers, not the nightclub performers. “Experience near” concepts were also employed when she told the life stories of the performers, and then put them into context with the opinions of the “significant others” and the general public. Another way she uses contextualization is by interviewing the “significant others” of the entertainers, as the informants are already studied in their own context (p180). She employs the views of different types of Egyptians to determine the social status and morality given to different kinds of performers to show the variability of views. The “significant others” of the saint’s day celebration performers usually belong to the lower members of society, as she is studying only the low class nightclub and saints day celebration entertainers. By talking with the “significant others” she discovered that gender issues weigh heavily into the status of a performer; men are seen as acceptable to work in this field, but not women. She then goes onto discuss gender issues in depth, saying the “crux of the matter is that women are sexual beings (and men are not regarded that way)” (p182). She employs the concept of the awlad al balad and the bint al balad, the “the people of the country”, and “the woman of the country (region)”. She holds the ideals of the bint al balad of the lower classes as being the same as the female entertainer, but that it can never be realized, because ultimately the female dancer is immodest by showing her body to strangers, and a full bint al balad would never do that. However, amongst the “significant others” this was not seen as important, because of implicit rules that the entertainers have made for themselves about rules of conduct, and partly because they belong to the same class. Amongst the nightclub dancers, it was a bit different; their “significant others” were middle class, and did not like their women dancing in lower class nightclubs, and so therefore these women are often “women without men” and are often accused of prostitution. Women were marginalized much worse than the men. In talking with the female performers themselves she discovered the thoughts and strategies that female performers use to get around the fact that society sees their work as low class and equal to prostitution sometimes. Entertainment is not a dishonorable profession for men, but for women it is, because of the inherent belief by Egyptians that the female body stimulates sexual feelings, and the male body does not. Female performers get around this by modifying their behavior by being “a man among men” (p177). Their body becomes a gender neutral territory, because it is being used for work, much like a man’s body. This one-dimensional view of society of women’s bodies as purely sexual instruments simply does not apply to women’s bodies while they are dancing. Their behavior while they are dancing is often seen as “unfeminine” in other contexts of everyday life, as they often have to fight or beat a man to defend their honor. They want their bodies to be seen as “neutral instruments”, which puts this idea very close to the theory of musical instruments and their bodies being a neutral canvas. Acting masculine in the context of performing brings respectability. Female performers see their bodies as productive working instruments this way, and try to change the view of the public through the credibility of their work. Van Nieuwkerk employs the methodologies of participant observation, in that she explains in the introduction that she took some dance classes here in the US and in Germany to further her understanding of bellydance before she started her research. She also went to many performances of her informants, and even mentioned at one point that she was confused to be a dancer at one of the shows. She also employs the use of an Ethnoscience technique, although she does not call it that. She uses flashcards with different jobs on them and has different types of people order them in low to high social status. This greatly helps her contextualization approach, as it shows how the context of the event, gender and ideas of honor and shame determine the depth of the marginality of the performer, which in turn reveals the social power they have. This ethnography was written in 1990, and published in 1995, yet now it is considered from an older paradigm that is considered out-dated today. Why is that? Her aim is purely anthropological, and not musicological, or being that it is dance, not artistic, based. She is concerned with the people that make the dances, and not the dance itself. The author’s approach is very straight-forward and explicit; she states her goal, and her methods for achieving it. She states that she wishes to elevate the art of bellydance in the eyes of the Egyptian people. She states that she wants to help the performers, particularly the women, gain respect for their work. 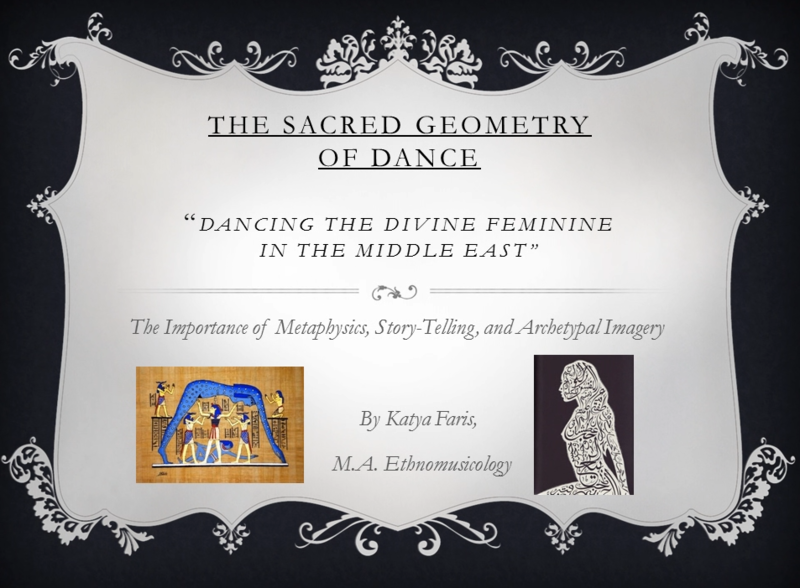 All of these goals can be achieved with the paradigms she was using at the time, and this was the first ethnography on Egyptian dance in Ethnomusicology, or Anthropology. However, her work left me asking some questions: could she have employed the use of more diffusionist/evolutionist theories in her work? Could she have followed the musical history and legacy just a little to see parallels in the dance that might have furthered her discoveries about gender and power? After reading Veronica Doubleday’s article, “The Frame Drum in the Middle East: Women, Musical Instruments and Power”, and Salwa El-Shawan’s article, “Traditional Arab Music Ensembles in Egypt since 1967: ‘The Continuity of Tradition within a Contemporary Framework’”, I can see how she could have used some musical examples to highlight gender and power without focusing on the music. She states that she does not study the theatre, film and 5 star hotel nightclub genre, which is a pity, because that is the form of bellydance that is emulated in the west, and has been diffused in the west. Using just a bit of diffusionist-evolutionist theory would have helped her to conclude that she might want to go back and study this genre to fill in the gaps in her research. According to Doubleday, Badia Masabni is credited with bringing bellydance to the nightclub scene in Cairo, and she created dancers and a dance style that was different than what the Mohamed Ali Street dancers were doing, which were mostly Ghawazi based, and the people that Van Nieuwkerk studied. Ms. Masabni was Lebanese, and her style of dance is much more influenced by the courts of the Ottoman Empire, which is largely Turkish movement based, and Lebanese style, which goes all the way back to the temples of Baalbek. She infused her native Lebanese style with the Egyptian she saw there plus ballet to make this style of raqs sharqi, or “oriental dance”, and put it on her dancers in her club. She was hugely successful, and churned out dancing legends such as Samia Gamal and Tahiya Carioca, which are now the grandmothers of today’s modern bellydance. So, the dancers that the author has covered really do not belong to the genre of bellydance that has persisted to today as the epitome of Egyptian raqs sharqi dance, and also what the world has come to know as bellydance. While her research is much needed, but I do believe it is a bit incomplete. Looking at Egypt as the perfect petri dish for the evolution of bellydance, we can see that it did not directly come from Egypt when we read articles such as Doubleday, that date it all the way back to cults of Inanna in Babylon. Conversely, there is no evidence that bellydance as it exists today ever existed in the great pyramids of Egypt; certainly dance and ritual did exist, but we can never build a dance from three or four dance poses as seen in the hieroglyphics. There is a complete disconnect between the dance culture of the pyramids and the dance culture of modern day Cairo; all Pharonic dances of today are based purely on fantasy. The people that Van Nieuwkerk has covered are descended from the Ghawazi, a tribe in Egypt that has come from the Rom of Northern India, also called the “gypsies”. These are the professional entertainment families that she speaks of in her research. The 2-star nightclub performers she researches are middle class and come from non-minority Egyptian families. If she had employed a little more historical analysis in the form of some diffusionist-evolutionist theory, I believe it could have enhanced her analyses. This ethnography has laid a good foundation to build upon in our field, and leaves many areas to be covered. 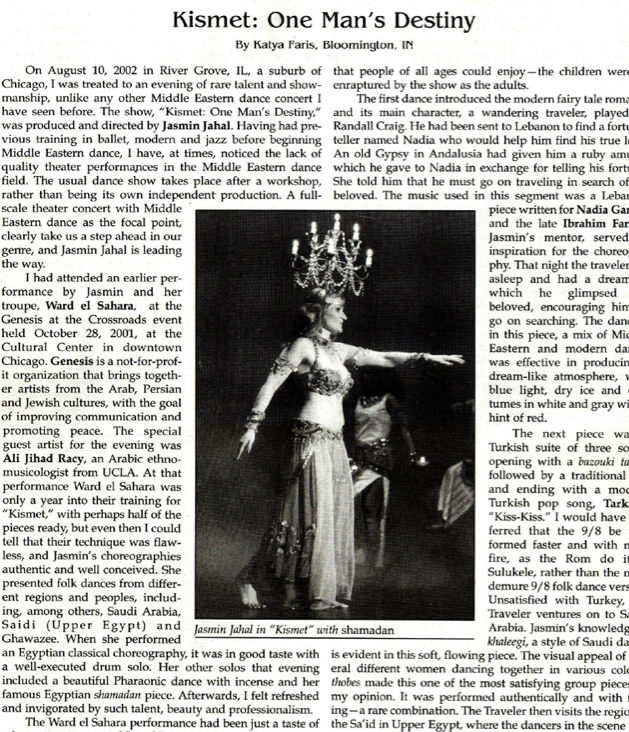 It is quite interesting that this was written just before bellydance exploded onto the international scene in 1997 with the advent of the internet, and changed the lives of legendary Egyptian dancers forever. It would be interesting for her to do a follow-up on the dance scene there now, as she could not ignore the higher echelons of Egyptian art as non-typical; quite the contrary, the general public is very well versed in discourse about the higher artform of raqs sharqi bellydance, because of TV channels, such as LBC, or the Lebanese Broadcasting Channel, and they have very high standards. Dancers at the 2-star hotel nightclubs that she interviewed are not artistically considered typical, even though they are more common. Gender and power are the core issues that Van Nieuwkerk is dealing with, and she builds it up throughout the whole book. She does get to the bottom of why women are seen as immoral for working with their body, and it because of the sexual objectifying of the body in Egyptian traditional culture, which leads her to discover that women must put their bodies in a gender neutral position to maintain their honor while working. If we follow that idea musically, we can see that the female body is the instrument with which they make their art. This is the same idea that was taught to me by my Egyptian teachers, that the body is a blank canvas for the music to be painted upon, and that the body’s job is to make the sound 3D. 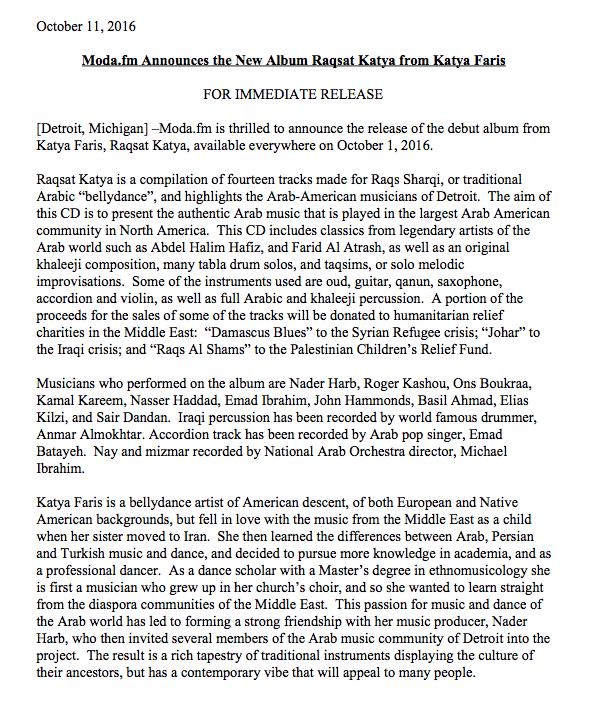 There is a lot of work that could be done musicologically alongside the anthropological research that could bring light to the musicological structuralist-fundamentalist theories behind Arab music and dance. Doubleday, Veronica. “The Frame Drum in the Middle East: Women, Musical Instruments and Power”. Ethnomusicology, Vol. 43, No. 1, pp 101-134. 1999. Van Nieuwkerk, Karin. 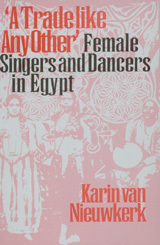 A Trade Like Any Other: Female Singers and Dancers in Egypt. University of Texas Press.